On behalf of the AAHS Board of Directors, I would like to welcome everyone at the 2017 Annual Meeting to be held at the Hilton Waikoloa Village on Hawaii’s Big Island. The theme of the Annual Meeting will be "Patient Safety". We are also pleased to welcome our friends and colleagues from the 2017 Guest Society, the Romanian Society for Surgery of the Hand (RSSH). Highlights of the meeting include guest speakers Dr. Stuart Weinstein, Dr. Peter Stern and Alex Parker, Ph.D. The Hilton Waikoloa Village was voted a Top 10 Hawaii family resort by Travel & Leisure Magazine and offers no shortage of family activities. Dr. Marco Rizzo and Terri Wolfe have put together an outstanding scientific meeting that I know you will enjoy. I look forward to seeing you there! I would also like to mention that the AAHS was privileged to be a guest society and an integral participant in the annual meeting of the German Society for Surgery of the Hand, Frankfort, Germany; held in late September. The meeting chairman was Michael Sauerbier, an AAHS member, who put together a fantastic program. Members of AAHS were very well represented in the various symposia and scientific sessions. Our guest nation partnerships continue to grow and we look forward to future collaborations with other guest societies around the globe. As the year winds down and as my term as HSE President comes to an end, I want to update you on the activities of your Endowment and give you some idea as to what we are planning for the upcoming calendar year. Building on the success of reaching our fund raising goal of $1M in 2015 through individual donations and pledges from generous members, including strong participation from the AAHS and HSE Boards, we continued to fundraise in 2016. With generous contributions, the Endowment has been able to continue to fund its programs promoting global hand health. Programs supported in 2016 included funding 6 Volunteer Scholarships to Honduras, Island of St. Vincent’s, Trinidad & Tobago, Haiti and Ghana for trainees and hand therapists. Utilizing a $5K grant, Aviva Wolff OTR/L, MA, CHT, the 2016 Vargas Award recipient, traveled to Guatemala with the Guatemala Healing Hands Foundation. This was the GHHF's 11th mission to this country. During the Scottsdale meeting the Inaugural Lean & Green Award was presented to Dr. Mark E. Baratz from Pittsburgh, PA , and the Humanitarian Award was awarded to Lynn Bassini, MA, OTR/L, CHT. These individuals were honored for their dedication to bettering our profession as well as the community. $15K total in research funding was awarded in 2016. 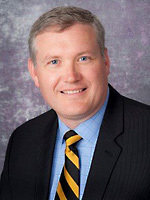 Grants helped fund Dr. Ryan Schmucker, MD, from the SIU School of Medicine. 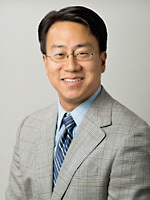 His project entitled "Investigations of Fat Grafting as a Treatment Modality for Skin Fibrosis in Scleroderma" was the recipient of the 2016 AAHS Annual Research Grant. 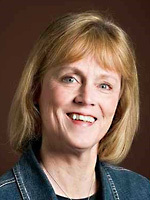 The Endowment also funded Dr. Amanda Ross, MD, also from the SIU School of Medicine. Her project entitled “LGR6+ Epithelial Stem Cell Augmentation of Fracture Healing” was supported by an AAHS/PSF Combined Pilot Research Grant. During the annual meeting held in Scottsdale we hosted another HSE/GHHF Silent Auction. There will be another combined auction at the upcoming Hawaii meeting and the Endowment looks forward to continuing this charitable tradition. In Scottsdale the HSE also hosted its 1st Golf Tournament fundraiser. The golf tournament in Hawaii will be held in conjunction with ASRM. As we move into the New Year the Endowment will continue with its fundraising and begin to expand upon its programs. The HSE will fund 8 Volunteer Scholarships in 2017 for sites in Honduras, Bolivia, Vietnam, Ghana and various sites through HVO for trainees, junior surgeons and hand therapists. The application deadline is December 31, 2016, so be sure to apply by then if interested. At the meeting in Waikoloa, HI the HSE will honor the recipients of the Vargas Award, the Humanitarian Award and the Lean and Green Award. We will co-host the HSE Fundraising Golf Tournament along with ASRM and encourage participation in this event at the meeting. $15K in research grants will be awarded as part of the Annual Research Grant and PSF Matching Grant Programs. It has been a privilege to serve as the Endowment President these last 3 years. The success of the Endowment has been built on the generosity of our members, the support of the Board and the great support staff that administers our organization. 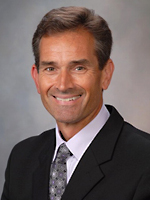 Jonathan Isaacs, our current Vice-President, will be taking over the leadership role at the end of the Hawaii meeting and I am confident that his leadership coupled with continued Board support will take the Endowment to new heights for the future. The efforts of the Endowment are directly linked to our mission statement and I strongly encourage all of you to seriously consider supporting its efforts. This edition of the Hand Surgery Quarterly features a round table discussion on tendon and bony injuries around the proximal interphalangeal (PIP) joint. The types of injuries are varied, as are the treatment approaches. We will focus on surgical codes for management of these clinically significant problems. Central slip injuries around the PIP joint typically fall into one of two categories: (1) acute, or (2) chronic. Acute open injuries will typically require irrigation and debridement of the affected joint with surgical repair of the extensor mechanism. 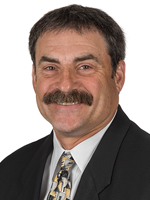 Closed injuries may be treated conservatively at first. With operative fixation, CPT 26418 (extensor tendon repair without graft) or CPT 26420 (extensor tendon repair with free graft) are appropriate descriptors of the work involved. In unusual cases where there is PIP joint instability or subluxation, CPT 26776 or CPT 26785 may be reasonable to reflect the work involved in reducing the PIP joint and stabilizing the joint with a Kirschner wire. With chronic central slip injuries and loss of central slip substance, an extensor mechanism turndown or free tendon graft may be necessary. The work of a central slip turndown is best described by CPT 26426 (extensor tendon repair using local tissues), while the additional work of harvesting free tendon graft is best reflected with CPT 26428. 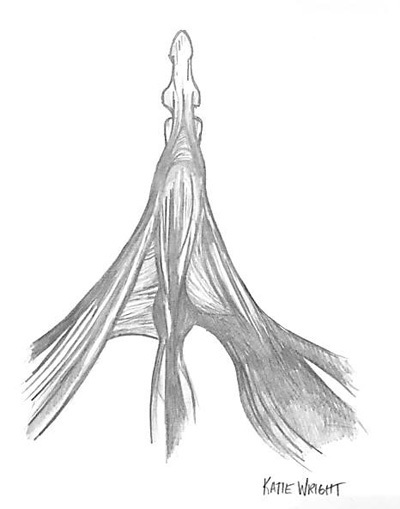 Alternatively, an extensor tenotomy may be performed in boutonniere deformities that are passively correctable. 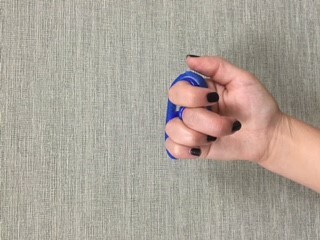 This would help to relieve the hyperextension at the distal interphalangeal joint while permitting increased finger flexion. CPT 26060 can be employed in these situations and describes a subcutaneous extensor tenotomy. For more moderate deformities, lateral band release or reconstruction is a useful tool. The lateral bands can be step-cut over the middle phalanx and the lengthened proximal and distal portions then sutured to one another. This may help to reestablish the balance of the lengthened central slip while avoiding complications associated with mallet deformity. 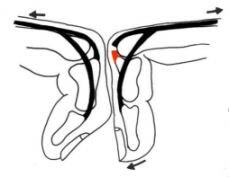 Another approach may include excision of the triangular ligament and transverse retinacular ligaments, thereby allowing the lateral bands to be repositioned dorsally. The bands are then sutured distal to the PIP joint. Regardless of the approach, CPT 26476 (tendon lengthening, extensor) would be appropriate coding for these surgeries. 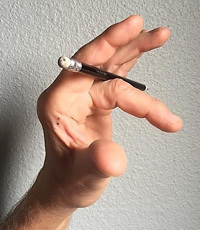 With more severe or fixed boutonniere deformities, surgical treatment would focus mostly on regaining finger extension. A volar plate release with possible collateral ligament release should be reported using CPT 26525 (capsulotomy for contracture). Finally, in cases with associated degenerative changes at the PIP joint, arthrodesis or arthroplasty surgeries would be reasonable. CPT codes 26860-26863 should be used for PIP joint arthrodesis, while CPT codes 26535-26536 describe PIP joint arthroplasty, depending upon the approaches used. For peri-articular fractures about the PIP joint, conservative surgical treatment may include percutaneous fixation using Kirschner wires or dorsal block pinning with associated PIP joint instability. For pinning of either the proximal phalanx or middle phalanx, CPT 26727 is used. If there is associated PIP joint instability, then CPT 26776 is used to describe pinning across the PIP joint. Any kind of open approach to the fracture would require use of CPT 26746 (open treatment of articular fracture), while an open approach used specifically to treat a PIP joint dislocation would need CPT 26785 (open treatment of joint dislocation). These codes are often combined with one another, depending upon the severity of the fracture and any associated joint instability. For significant PIP fracturedislocations, open reduction with internal fixation may not be possible. Hemihamate arthroplasty has become a popular alternative to volar plate arthroplasty in the treatment of these injuries. The work of a hemihamate arthroplasty can best be described with the following codes: (1) CPT 26567 to describe the corrective osteotomy and bony contouring at the base of the middle phalanx, (2) CPT 20900 for harvest of the bone graft from the hamate, and (3) CPT 26746 for open fixation and stabilization of the bone graft. Finally, PIP arthrodesis or arthroplasty surgeries are appropriate for injuries that are chronic or non-salvageable. These codes have been discussed for central slip injuries. As we come to the end of the year, it is always a time for reflection about what has transpired over the preceeding 12 months. The AAHS is planning a tremendous annual meeting in Hawaii with record-breaking registration levels. 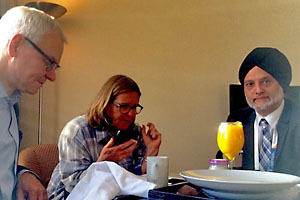 There will be many educational and social events to engage the participants throughout the week. I hope those that have not planned to attend this year will consider joining us next year in Puerto Rico for the 2018 meeting. The election has certainly been a highlight of the year (or low-point, depending on your political leanings). Regardless of party affiliation, there is no doubt that this year’s election outcome will affect physicians more than just about any other group in the country. The ACA has been in force for several years now, and with this election we are certain to see changes in its shape and form, if not its complete elimination. The Trump administration is nothing if not “dynamic” and where we will be a year from now is very unclear. It is clear that in uncertain times such as these, our medical organizations provide value to practitioning physicians across the country. They will help us to navigate the uncertain times ahead. We hope that these new times will be favorable to physicians. Certainly the appointment of an orthopaedic surgeon as the director of the department of Health and Human Services (Tom Price) suggests a move in the right direction. At the same time, we know that there will be change, and change is hard to plan for. We at the AAHS will stay alert to changes that can affect our members and will work with the larger orthopaedic, plastic, and general surgical organizations that can affect influence over those changes in the coming years. So I hope you will all have a productive year, happy holidays, and a wonderful new year. Most importantly, I hope to see you on “The Big Island” in January. RMF requires the metacarpal phalangeal joint (MCPJ) of the involved finger(s) to be positioned in maximum flexion compared to the non-injured fingers which are placed in at least 15-20° less MCPJ flexion (Figure 1). "Each finger is a tube of interwoven aponeurosis, with each fiber having the distinct ability to move independently." Dr. Brand’s insight reminds us how the fibers of the extensor apparatus (Figure 2) work in harmony to produce balanced finger motion and that a shift in this balance, for example as in an extensor zone III injury will result in loss of proximal phalangeal joint (PIPJ) extension. If this imbalance is unchecked, the forces applied through the remaining fibers of the apparatus progress to a boutonniere deformity. Similarly, adhesion formation between a proximal phalanx fracture and the extensor apparatus interrupt excursion of the apparatus causing a PIPJ extension lag. Acute and chronic boutonniere deformities with passive PIPJ extension to at least 20° and isolated DIP flexion of at least 30°. Fracture/crush of the proximal phalanx to prevent a PIPJ extension lag or remodel a developed lag. If uncertain about the continuity of the extensor apparatus after injury, before using Elson’s test 5, 6 try Lalonde’s “Pencil test”! 7 (Figure 4) Elson himself states that his test does not make evident a partial central slip injury and can be unreliable due to the patient’s pain or lack of cooperation.5 In my opinion if the Elson’s or modified test is done before the Pencil test, the continuity of any remaining fragile fibers may be further damaged. So if the Pencil test is applied first and balance is restored, rehabilitation using RMF is appropriate. Most proximal phalanx fractures or crush injuries can be stabilized and moved safely in a modified RMF orthosis. Without doubt the position of RMF is a great tool for early controlled motion exercises. If adhesions have already formed, wearing a RMF orthosis during life activities serves dual-purpose; scar remodeling and extensor apparatus rebalancing. Specific rehabilitation techniques for use of RMF will be presented as an instructional course at the 2017 AAHS annual meeting in Hawaii. I hope to see you there! 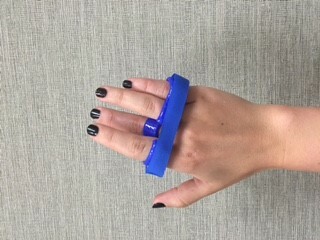 Figure 1: RMF orthosis for the long finger. 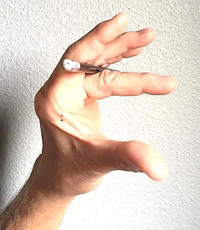 Figure 4: For any boutonniere deformity, try Lalonde’s Pencil test before Elson’s or modified Elson’s tests to observe if a RMF orthosis can corrected it. Merritt WH. Relative motion splint: Active motion after extensor injury and repair. JHS Am 2014; 39(6):1187-94. Brand PW. Clinical mechanics of the hand. 1985. The CV Mosby Company. Savage R, Pritchard MG, Thomas M, Newcombe RG. Differential splintage for flexor tendon rehabilitation: An experimental study of its effect on finger flexion strength. Journal of Hand Surgery (British and European) 2005; 30B (2):168-74. Chung B, Thanik V, Chiu DTW. Relative motion splinting for flexor tendon repairs: Proof of concept. 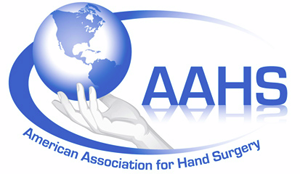 Abstract Annual Meeting American Association for Hand Surgery Bahamas, January 22, 2015. Elson RA. Rupture of the central slip of the extensor hood of the finger: A test for early diagnosis. The Journal of Bone and Joint Surgery 1986; 68B (2): 229-31. Ton AR, Soeters JNM, Hovius SER, Stam HJ. A modification of Elson’s test for the diagnosis of an acute extensor central slip injury. The British Journal of Hand Therapy 2006; 11(4):111-12. Hirth MJ, Howell JW, O’Brien L. Relative motion orthoses in the management of various hand conditions: A scoping review. Journal of Hand Therapy (2016); (in press):1-27. Download the FREE Meeting Mobile App to view the full program, speakers and abstracts! To download, click here or go to your App Store and searching for AAHS, ASPN, ASRM 2017 Meeting. You are strongly encouraged to download the mobile app for the AAHS, ASPN, ASRM Annual Meetings, as the mobile app will serve as the main program for reference for the 2017 program. A brief printed schedule of events will be provided at the registration desk. Visit the AAHS website to view more mobile app details and features. You will receive a Name Badge and abbreviated Program Guide upon check-in at the Registration Desk. Name Badges must be worn at all social functions, meals and scientific sessions. Industry Lunch Symposia: AxoGen, Inc.
*Badges are required to enter all Scientific Sessions, Social Events and the Exhibit Hall. Silent Auction: Items will be available for view and bid in the foyer directly outside the meeting room. Bidding will open Wednesday the 11th, and will close during the AAHS Banquet on Friday, January 13th. All contributions go towards the HSE and Guatemala Healing Hands Foundation. Wi-Fi Access: A special code will be provided when you check in at the Registration and Meeting Services Desk when you pick up your badge that will allow you access to the meeting space Wi-Fi. As a candidate member of AAHS, I have had several opportunities to participate in events that have prepared me for career in hand surgery. Most recently, I applied for the opportunity to participate in the Clinical Scholars Development Program. I hoped that the program would enhance the knowledge and skills I need to be a successful investigator and mentor. I was thrilled to learn that AAHS sponsored my participation in this program. I had the privilege to meet clinician-scientists who have excelled in their careers by effectively balancing their clinical, research, and personal responsibilities. We discussed critical elements of being a successful clinician-scientist, including methods for securing funding and strategies for preventing burnout. They personalized my experience at the program by giving me advice that is relevant to my career path. Additionally, I had the opportunity to meet several like-minded residents and fellows who I hope to collaborate with in the future. I strongly recommend that residents or fellows who are interested in an academic career in orthopaedic surgery should consider participating in this program. to be honored in 2017! 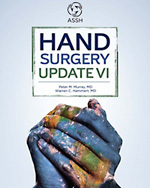 In 1994, the American Society for Surgery of the Hand published the first Hand Surgery Update under the editorship of Dr. Paul Manske as a brainchild of Dr. James Urbaniak (President, American Society for Surgery of the Hand, 1991-1992). The stated goal of that original work was to "present a synopsis of important information, by established hand surgeons, from recently published articles." The practice of hand surgery is truly a global one and we are indebted to our international colleagues for their great contributions to the field; this sentiment is reflected in the cover design of the book. We also recognize all of our authors who donated countless hours of hard work to provide outstanding and provocative chapters that we hope you will enjoy reading. In the years to come, we hope you will enjoy and rely on Hand Surgery Update VI. It was an honor to serve our ever-changing specialty, through the publishing of this edition. The book is available as an e-book or hard copy on the ASSH website. as of January 1, 2017, the AAHS office suite number will be Suite 4400. Please note this in your records.